Rage Productions owner Sky Pinnick says, “My favorite thing to do is dangle from helicopters and point my lens towards the action,” and that should give you a pretty good indication of the type of work his company does. Based in Bend but on location around the world, Rage Productions is a full-service video production company that brings people, scenery, products, and ideas to life with a heavy dose of imagination, thanks to Sky’s unique combination of art and technology. A few years ago, Sky decided one company wasn’t enough, so he also runs Rage Films, an adrenaline-fueled, action sports division of Rage Productions. 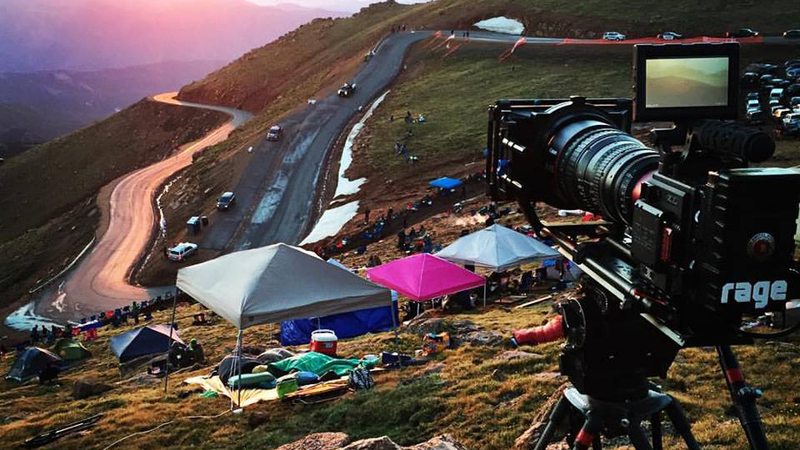 Between the two, Sky has produced 12 action sports films, which have received recognition and awards from around the world. In 2011, he directed a documentary titled Boom Varietal, which focuses on the Argentine Malbec wine boom and received distribution worldwide. Currently, Sky produces a one-hour TV show for NBC Sports and Rally America, and works as a commercial director for companies such as Triumph Motorcycles, Nike, Garmin, and PetSmart, along with Northwest clients including Central Oregon Visitors Association and Washington Federal.